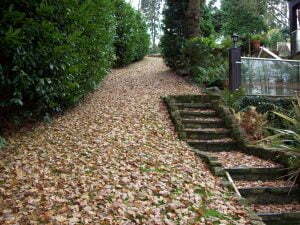 No not leaves on line, that great rail operators curse, leaves on lawn that great gardeners curse! 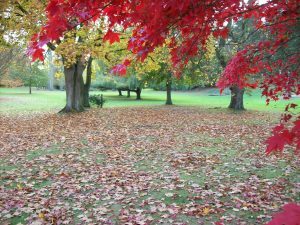 Mowing becomes a huge challenge and the mere presence of autumn leaves reduces grass growth opportunity and encourages moss and disease. So do try and keep them away; rake or a combination of blowing and raking should do the trick and of course it’s great exercise while your’e at it.